Thereâ€™s no doubt St. Simons Island holds some of the stateâ€™s most colorful personalities. This community has always been an area rife with character and history, from its earliest beginnings. What isnâ€™t so well known is the people who have helped form this little area of the world DeLoach Sotheby’s International Realty callsÂ home. Our most notable residents run from revolutionaries to politicians to sportsman to beauty queens. Each person shaping the city into the place we love. John and Charles Wesley were instrumental for United States history as well as that of Georgia. John Wesley fathered the Methodist church after doing missionary work in St. Simons Island. Charles was a prolific poet and hymnal writer. Once ordained as ministers they were among the first to make it a mission to preach to inmates and prisoners. Griffin Bell was the 72nd Attorney General and served under the Carter administration. He was a lawyer with the King and Spaulding firm in Georgia both before and after his term as Attorney General. He handled many high profile cases including that of the mishandling of money at E.F. Hutton & Co.
Heather Whitestone is a former Miss America 1995 and the first disabled Miss America. She has been deaf since the age of 18 months. Heather is now a motivational speaker living on St. Simons Island with her husband and three children. Zach Johnson is a professional golfer. He plays on the PGA Tour and has had 9 wins. He was a champion at the 2007 Masters. 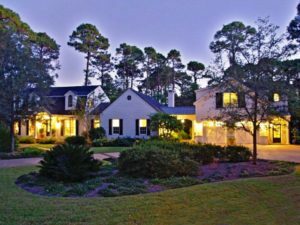 Johnson, his wife and their two boys live on this coastal GA island.Â Other notable professional golfers owning St. Simons Island real estate include Davis Love, III, Matt Kuchar, and Jonathan Byrd. While you do not need to be famous to purchase St. Simons Island real estate, it is fun to know those who have. There is are so many great propertiesÂ to choose from, sprawling golf course houses, beach condos and resort rentals. St. Simons Island real estate is as varied as our population. What’s New In Home Design And Does St Simons Real Estate Have It?